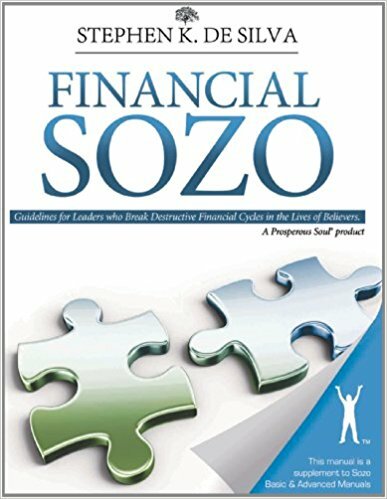 Financial Sozo is a tool designed for leaders and Sozo ministers who want to delve deeper into the important area of financial deliverance. Building on the work of the Sozo ministry, Stephen DeSilva explains what is going on behind the scenes in his popular blass Prosperous Soul Foundations. Learn about Stephen’s four-step process of a vinancial Sozo, discover the three spheres of poverty, and access the secrets of today’s Kingdom economy. Five case studies demonstrate the financial Sozo methodology to lend insight in applying the lessons shared. Finally, Stephen offers three key observations from his years as a financial deliverance minister that will prove to be powerful weapons in every leader’s toolbox. 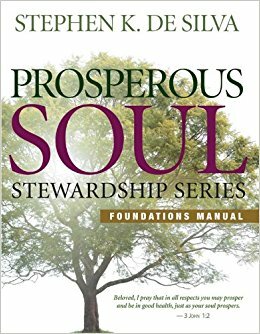 This manual, combined with Stephen’s Sozo team training (available in CD and DVD versions under the same title), sheds new light on the old problem of overcoming crippling financial patterns in the lives of those God sets before us.